The Long-Distance Runner: The Most Successful Photography Instruction Series In History, Eastman Kodak’s How To Make Good Pictures (28th Edition,1943-47). From the collection of the author. KODAK’S SAD AND WOBBLY RE-EMERGENCE FROM BANKRUPTCY, announced this week, finalizes the process of “saving” a famous name, while annihilating the legacy of innovation that made that name great for over a century. Having already said goodbye to Kodachrome, most of its other trademark films, and camera production itself, Kodak will now concentrate on “imaging products”, which, for, most of us, means “printers”. Most of the news coverage of this corporate resurrection will “focus” (sorry) on what the new company stock will be worth, who goes, who stays, and a few scant mentions of the company’s original role as camera producer to the world. That will leave a significant part of the story untold. 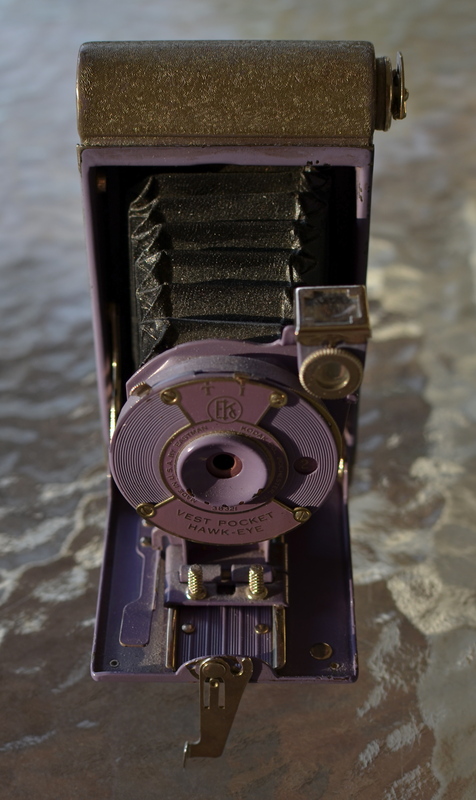 Certainly, George Eastman’s genius for marketing helped develop the first flexible roll films, then ingeniously created a market for them by putting a basic, usable camera in the hands of the Everyman. Nearly everyone has heard the slogan Kodak created to demonstrate how truly effortless its products had made photography: you press the button and we do the rest. But none of that would have guaranteed the company’s growth if Kodak has not also decided to become photography’s first great mass teacher, creating pro-active education programs to guarantee that, not only could Uncle Clem snap a photo easily, he could snap a good photo easily. What had once been a dark art for a select cabal of techno-wizards became, under Kodak’s outreach, something that could anybody could do. And Kodak was going to show you how to do it. There was a time when this Kodak Vest-Pocket Hawkeye was truly intimidating. How To Make Good Pictures made it your friend. Beginning before the end of the Victorian era, the company began to publish the first of an endless stream of practical guides on technique and simple theory aimed at the average shutterbug. Starting in 1898 with Picture Taking And Picture Making (115 pages of tips in a cardboard cover for fifty cents! ), Eastman Kodak moved to 1905’s The Modern Way In Picture Making, and, finally, to the most successful photo instruction series in history, How To Make Good Pictures, introduced in 1912 and revised continually until finishing up with its 37th edition, in 1995. Over the years the “make” in the title had been changed to “take”, and its 1890’s essays on bromide paper, collodion matte, and ground-glass focusing had evolved, over the decades, to instructions on the use of flash, color, drop-in film cartridges, and “how to tell a picture story” with your Kodacolor slides. Hundreds of printings and millions of sales later, How To Make Good Pictures forged an ironclad link between consumer and company in a way no corporation before or since has done. To everything there is a season. Kodak’s (now historically) tragic failure to see digital photography as a viable consumer revolution, until it was too late, is a matter of raw record. The company that taught the world to see had a blind spot, a fatal one, and the irony that nearly all of the rest of the industry developed digital technology by applying processes originated (and patented) by Kodak makes the story even sadder. 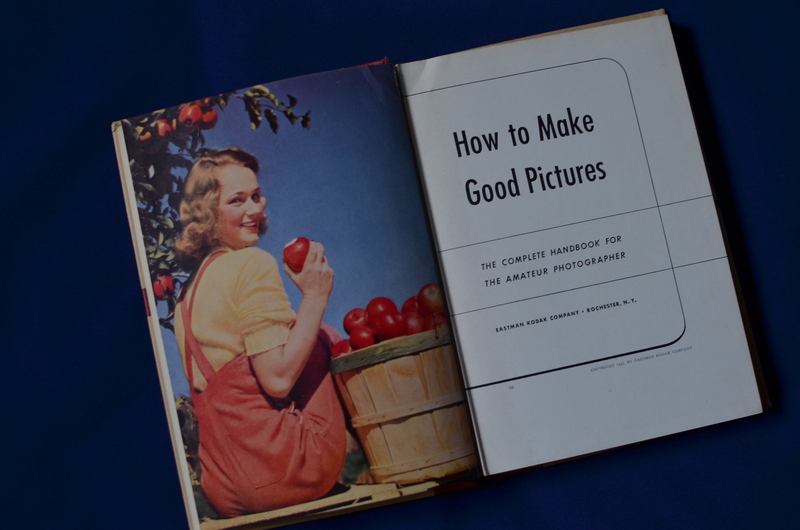 But, once upon a time, the Eastman Kodak Company not only knew what the future of photography was going to look like, it wrote a handy dandy little book that told everyone how to master that future. This entry was posted on September 3, 2013 by Michael Perkins. It was filed under cameras, Composition, Depth Of Field, Exposure, Framing, Kodak, Light, Monochrome and was tagged with Eastman Kodak, Education, George Eastman, Instruction, KODACHROME, Kodak.